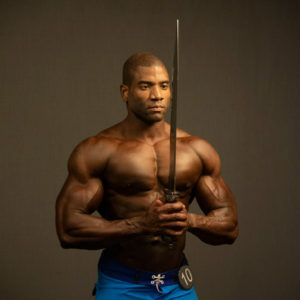 IFBB Pro Xavisus Gayden is a competitive bodybuilder and coach. He’s won 1st place in the Titans Grand Prix, 3rd in Japan Pro, 4th in the Sacramento Pro Championship, 5th place in the Pro Salt Lake City Showdown, and 7th in the Arnold Sports Festival. The Overall Winner at the 2015-2016 Jay Cutler Classic, Carlos DeOliveira is a rising star in the Men’s Physique community. 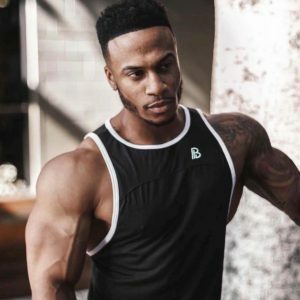 “We are looking forward to a profitable relationship with Caiki as he pursues his career through fitness modeling and bodybuilding,” says David Whitaker, President of Mon Ethos Pro. Carlos is a 4-time NPC Overall Champion and winner of the 2017 Connecticut GrandPrix Overall Title in Men’s Physique as well as the 2018 NPC USA Bodybuilding Champion in Men's Physique. 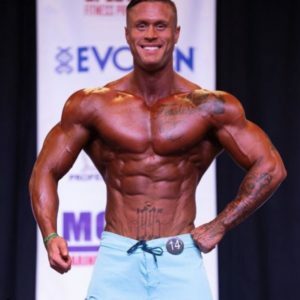 IFBB Pro Corey Morri, personal trainer and winner of the 2018 JR National Overall Champion, is a rising up and comer in the Men's Physique category. Alyssa Blessing is a member of the United States Marine Corps, an IFBB Professional Athlete, and a dedicated motivational speaker. Alyssa placed 1st in her Class at the 2018 NPC Universe Championships and was the Overall Winner in the Bikini Competition at the 2018 NPC Cascadian Classic. Carter Montgomery is an IFBB Pro bodybuilder, model and online coach. He was the overall champion of the 2018 NPC USA's, earning his Pro Card and the title Mr. USA. Abner Logan was born in Cambridge, Massachusetts where he was a highly-touted four star recruit who starred at Dexter School in Brookline. Ab committed to the University of Maryland in 2011 and joined their 2012 class. After the 2015 season, where he played a contributing role in the final seven games of the season before transferring to the University of Albany where he earned a place on the 2016 CAA Academic All-Conference Team. Following graduation from the University of Albany, Logan signed a free agent contact into the National Football League with the Buffalo Bills. DaJuan Freeman is the 2017 North American Champion, winning 1st Open, 1st 35+, Master’s 35+ and Overall Champion and in 2016, he won 1st Place at both the California State Championships and the LA Grand Prix. Brazil native Renato Menezes is an IFBB Pro bodybuilder and a five time overall NPC national qualifier. He was the Overall Champion at the 2017 NPC Diamond Classic and won 1st in his Class at the 2017 NPC Sunshine Classic and the 2017 NPC Topamania Classic. Renato is also a physical trainer and holds a black belt in jiu jitsu. IFBB Pro Athlete Tonnell Rodrigue is a competitive bodybuilder, IFBB and NPC coach, and weight loss specialist. Sarah Gayden is an IFBB Bikini Pro athlete, owner and manager of a California based fitness apparel company, a fitness-centered chef/cook, and also coaches for posing.